G.H.Q. 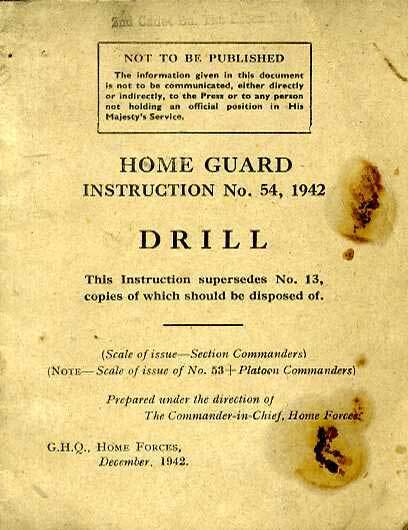 Home Forces instruction pamphlet issued December 1942 and superseding No13 'copies of which should be disposed of'. Covers Drill movements for the Home Guard. Picture shows actual item, has a couple of rust stains to the front cover and rear cover, staples rusted, but still in sound condition, not fragile.